PVC lay flat hose is a kind of high-strength polyester and high-quality PVC synthetic materials as raw materials; the finished product has the advantages of light weight, good flexibility, bright color, smooth coating, semi-easy to roll, easy to move, unlimited length; and in low temperature water, it can also keep the tube soft and elastic, so it is very popular with users. The maintenance methods of PVC lay flat hose in different seasons are different. When used in winter, we should avoid sharp things and prevent the PVC lay flat hose from being punctured. If used in the often passing lanes, we should use the PVC lay flat hose guard bridge to protect the plastic PVC lay flat hose from crushing the PVC lay flat hose by the back and forth vehicles. It’s getting cold. 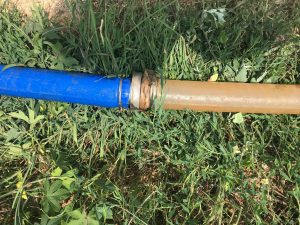 In order to prevent the PVC lay flat hose from freezing and cracking, the water inside should be emptied out in time to prevent the water from freezing. After use, it should also be cleaned. After washing, it should not be stored outside in the sun or rain, or close to the heat source to prevent softening. 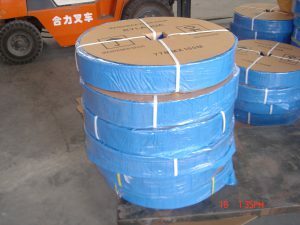 In addition, although PVC lay flat hose has high pressure resistance, corrosion resistance, ultraviolet resistance, wear resistance, aging resistance, but in use, it is still necessary to avoid the damage of corrosive things, in the selection of storage, it is necessary to choose the appropriate place for ventilation and drying temperature.